Turnover generated on 2 days a week. Scope for further growth. Fantastic local reputation. 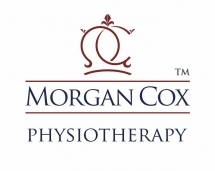 This sole practitioner physiotherapy practice is based is a delightful Worcestershire market town and has been trading for the last 5 years. Working only 2 days a week this highly profitable practice earns the current owner an adjusted net profit of £23,411. All work is delivered by the sole practitioner and comprises as a percentage of work load physiotherapy/MSK with or without acupunture work (85%) and acupuncture only (15%). Little marketing is performed and there is repeat business through a fantastic local reputation and referral network. The owner would be willing to help to train any new owner with accupunture techniques so they were able to deliver a similar range of services. The practice operates out of a leasehold room attached to a medical practice. There is no long term lease on this room and a pay as you use tariff (£42+vat per day) is in place. Included in this arrangement is a receptionist (5 days a week), car parking, computer appointment system and fully functional treatment room. There are local running clubs, a new large leisure centre, rowing club and other sports clubs who have yet to be approached. There is also an opportunity to increase patient numbers of the therapist is BUPA and PP registered. This practice would suit a sole practitioner wanting to start out in private practice or a part time NHS practitioner with time during the week to spare. Local established practices may also wish to consider expanding their current operations by acquiring this practice. Please contact us if you would like to know more details about this practice.